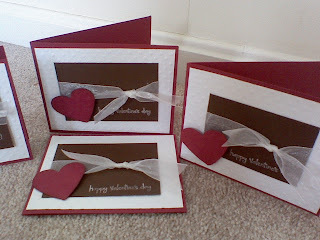 PLUS I used some more of those Fiskars textured templates that you rub with a stylus or a texture tool. 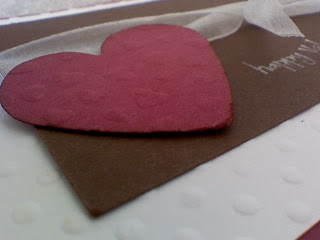 I used "dots" on the white, and then "hearts" on the pomegranate heart -its on a dimensional right below the ribbon. 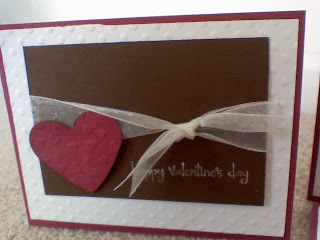 The ribbon has just enough UMP that it puts the card together... without overboard.. Don't you think so?